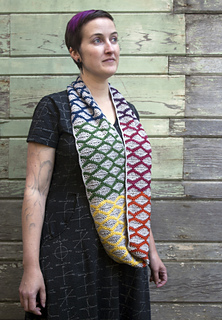 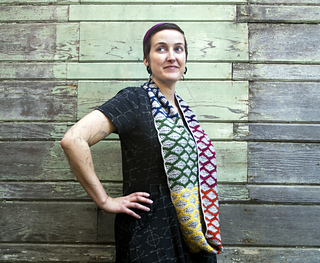 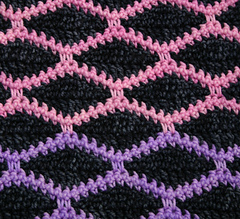 Play with color in this fun and easy project perfect for using mini-skeins of yarn. 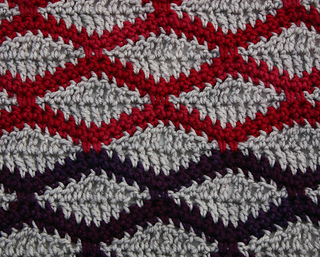 Even newer crocheters can master this stitch, which is both written and charted. 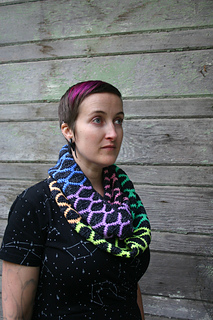 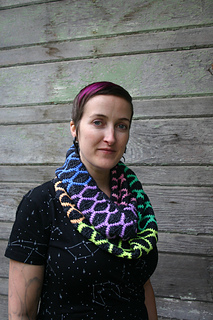 The cowl is especially fun when made with a rainbow palette for the contrasting colors, so that there’s no clear beginning or end, just a never-ending cycle.